Anyinginyi Health Aboriginal Corporation is an organisation that is passionate about improving the lives of the people around them. Their vision is to close the gap in the health status of Indigenous people in Tennant Creek and the wider Barkly area. 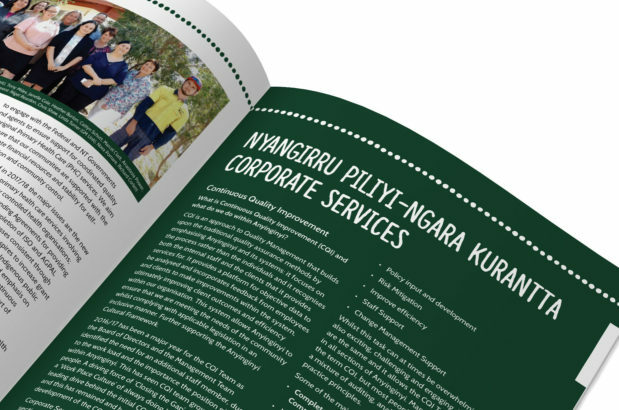 Anyinginyi works diligently to provide the primary health care services that are most needed to maintain the physical and emotional wellbeing of people in the Barkly region. We have been working with Anyinginyi since 2011, proud to support the hardworking efforts evidenced in their everyday operation. Collaboratively we have designed and produced reports, created a website, and other related collateral along the way. 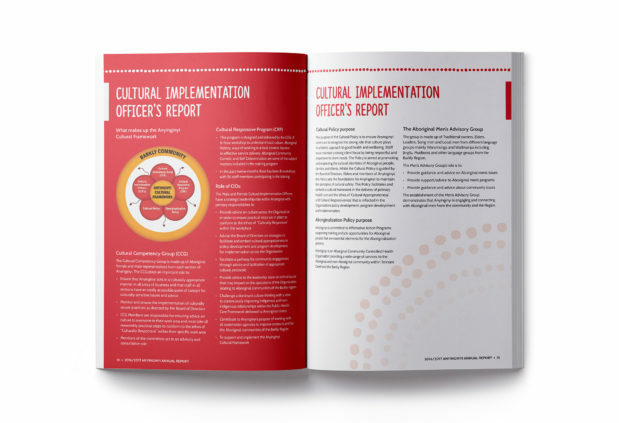 Our design for Anyinginyi’s annual report has drawn upon the visuals of Indigenous culture and the vibrancy of Aboriginal art to create a beautiful and engaging publication. 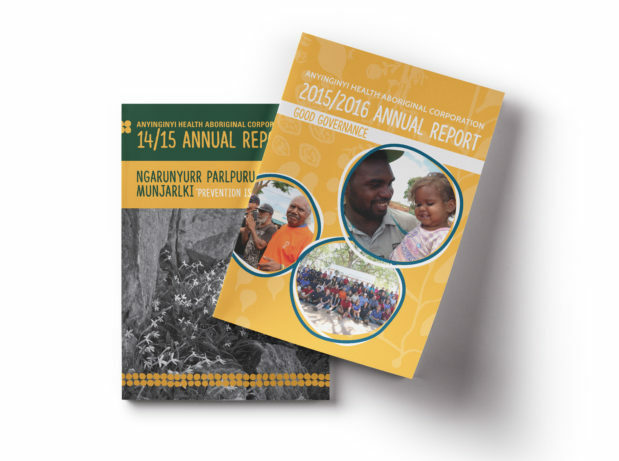 The report showcases the people and staff of Anyinginyi, their achievements and highlights of the financial year. The strong hierarchical structure and visual layout of this publication makes it easy and engaging to read and communicates their message clearly. 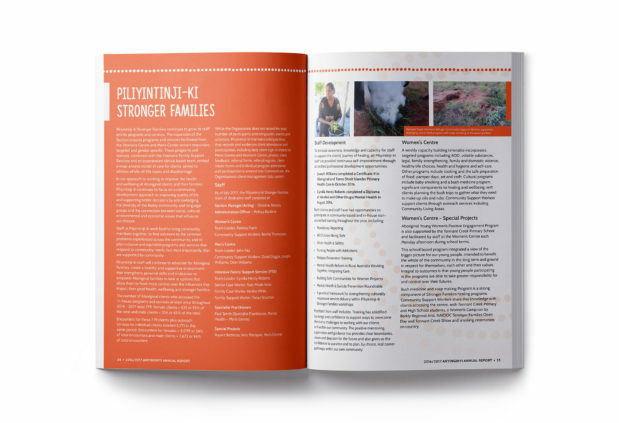 Our continued relationship with Anyinginyi and our ongoing work on these reports and other collateral has allowed the organisation’s imagery to evolve and strengthen into something that is visually organic, positive and colourful. It reflects the organisation’s personality and their desire to have a positive impact, it makes their information easily accessible and helps develop a rapport for people to easily approach and communicate their needs.